Children at Baby Gator Newell Drive develop and grow in a nurturing environment. Our NAYEC (National Association of Educators of Young Children) accredited center serves children ages 6 weeks through young 3’s. Located adjacent to UF Health, our parents are mainly affiliated with the College of Medicine and the College of Pharmacy. We are a school readiness center and presently renewing our NAEYC (National Association of Educators of Young Children) accreditation. Our dedicated staff strives to enhance each child’s growth and learning through our use of creative curriculum which is play and sensory based. 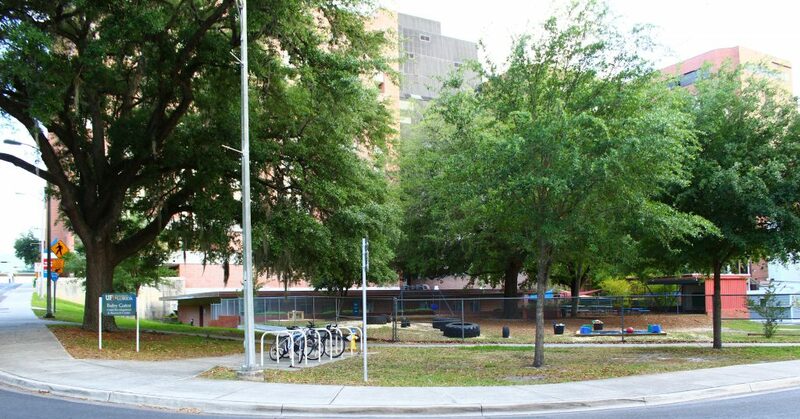 We encourage our children to explore their surroundings not only at the center but also through stroller walks, field trips, and exploration of UF’s campus and the Gainesville community. Each child at Baby Gator Newell Drive is served a nutritious breakfast, lunch and snack every day through the USDA Child Care Food Program (CCFP). Each year, the Newell Drive center works with a variety of volunteers, practicum, interns, and researchers from UF, Santa Fe College, and the surrounding community.